All Reviews from Global From Asia uParcel: Your Easiest Way To Deliver! uParcel: Your Easiest Way To Deliver! 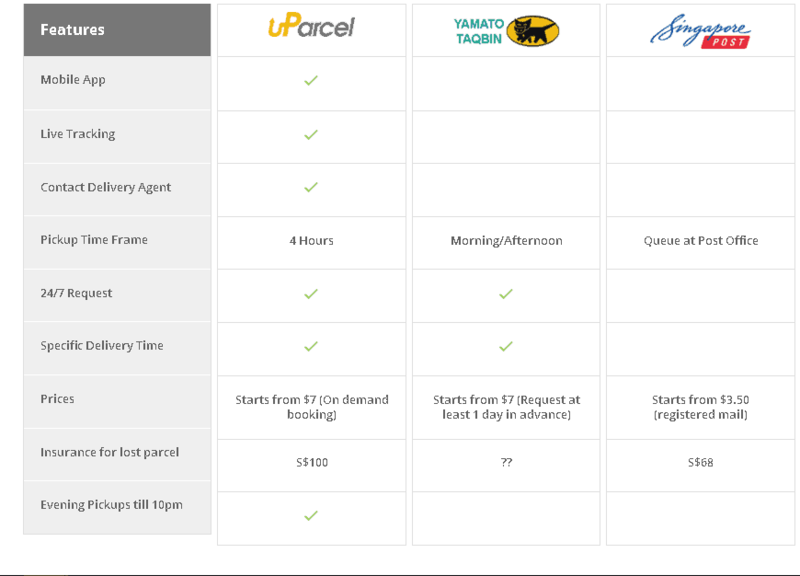 If you are looking for a capable and efficient way to deliver, then uParcel is the one that you are looking for! With its easy to use features, affordable and reliable deliveries, you won’t have any doubts that uParcel can help you with your package, giving you a worry-free transaction. uParcel, founded in 2015, is a leading logistics and warehouse company in Singapore. Giving you an option to deliver at the comforts of your homes, uParcel is your most accessible way to deliver, providing you 24/7 of courier service anywhere in Singapore. uParcel uses location-based identification, assigning one of their best delivery agents to pick up your package and deliver them to the intended location without any hassles. Now, spreading its services from courier to warehouse, helping international traders set up in Singapore. uParcel utilizes a compelling on-demand routing to deliver your parcels and goods point to point without needing to reroute to warehouses for secondary sorting. With their trademarked design enabling them to respond fast and efficiently to delivery requests. If you have any relevant documents, two-way courier, last minute deliveries or even that special surprise that you have just thought of, uParcel will deliver at one flat rate. Now, there’ll be no confusing distance-based delivery charges, delivery zones and stiff cut off times. With uParcel, you can get access to thousands of delivery partners, all in one platform. Request for a delivery booking and uParcel will route it to nearby delivery partners best equipped for the project at a business-friendly cost. If you are having issues with rising operational costs, low utilization on delivery vehicles, and is short of the workforce, you can ask uParcel to help manage your logistic needs. With uParcel, you can expect leverage on demand and location clustering to achieve efficiency for your business. You can take advantage of uParcel customizable logistics solution depending on your needs with features like bulk upload which enables you to get your deliveries booking submitted at one go. Ensuring for reliable delivery, uParcel’s in-house fleets of bikes and vans will help you with your business needs. You can also outsource your storage, order fulfillment and goods deliveries with uParcel and you can focus on building your business. You can also save on the cost of managing your inventory, logistics, and hiring of drivers for uParcel will be the one who’ll handle all your logistic requirements. Australian merchants are also welcome to partner with uParcel if they want to expand their business in Singapore, ensuring your full suite of e-commerce solution without investing into infrastructures, vehicles, and network distribution at an affordable cost. End to End Solutions. From warehousing to delivery and transparent fixed pricing. You can integrate uParcel’s delivery into your mobile app or website. uParcel’s API is clean and smooth making it easy to add in your current e-commerce platform in minutes. 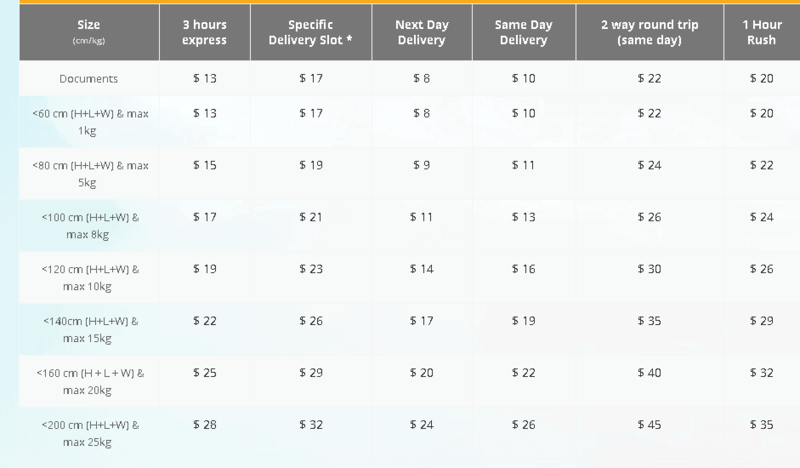 Your customer can now get access to uParcel’s delivery types and rates once they place an order. uParcel’s API is available in WordPress, Magento, and Shopify, helping you provide your customers amazingly fast and economical delivery options. With uParcel, same day delivery has never been this convenient. Depending on the distance and time needed, uParcel can retrieve your goods from your location and deliver them to the designated area in as quick as 3 hours, all for a minimal rate! Regardless of the size of business that you are running, it would help if you had all your documents, parcels, and packages delivered promptly. You’d also want assurance that your precious cargo reaches its destination safely without any issues. Then 3PL Services is your best solution! uParcel can offer you a secured and safe delivery of your commodities helping you in growing your business without you worrying a thing. With its reliable and affordable services, you can now focus more on your business. Plus, if you ever need an additional workforce, they can help you with that too! uParcel is a comfortable partner to choose with all of your delivery and logistics needs! You can visit their page and sign-up now! uParcel: Your Easiest Way To Deliver! Overall rating: 0 out of 5 based on 0 reviews.